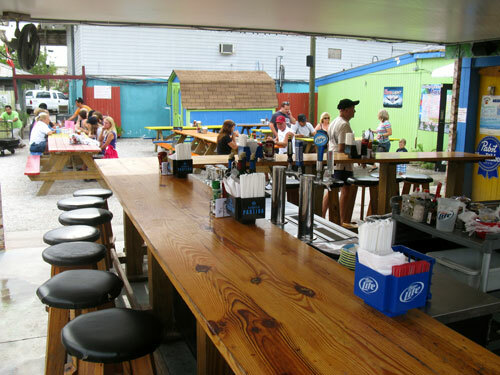 We had breakfast at Crabby Bill's Loading Dock, last Sunday. 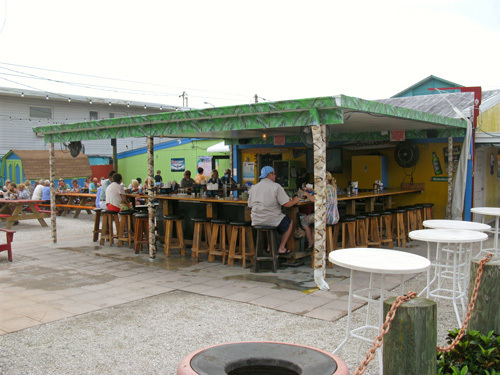 Set in laid back Indian Rocks Beach, Crabby Bill's Loading Dock offers a relaxing start to a morning in Paradise. Although it was a bit overcast when we showed up, the breeze coming off the Gulf was cool and gentle...with just a hint of clean, salty air. 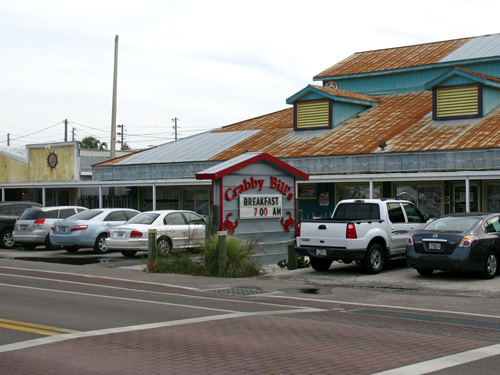 We've had breakfast at Crabby Bill's before, but we've normally sat out on the small individual tables facing west across Gulf Blvd. This time, we sat at the small outdoor bar that establishes a boundary for what is termed "The Loading Dock." 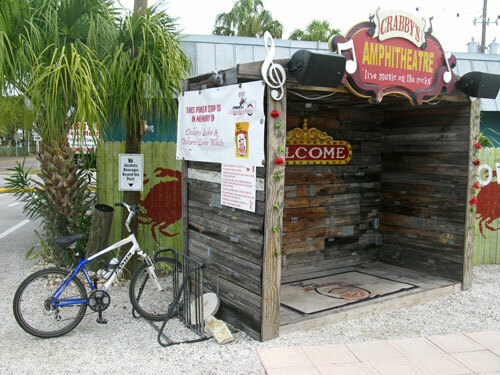 Originally built next door to Crabby Bill's Restaurant, in about 2008 so smokers could have a place to enjoy a cigarette without breaking a state law, it has now become a natural gathering place for people who gravitate to connecting the Florida beach lifestyle. As a matter of fact, we did not even see a smoker...much less smell cigarette smoke. It was close to 8:00am, and Rita, our waitress, was prepping the bar for the lunch crowd. Even though she was moving through her checklist, and going from one interruption to the next, she still found time for some friendly conversation with us, as well as got our order in quickly. Breakfast at Crabby Bill's Loading Dock was shaping up to be a great experience. 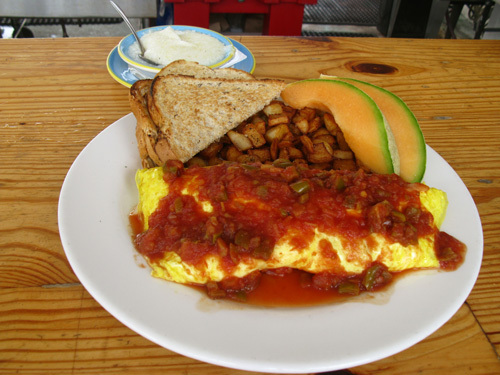 When she brought out our Southwest Omelet, it looked like it could feed a family of four. Thank goodness the lady and I were splitting that thing. I really don't know how one person could eat a full plate, like that. 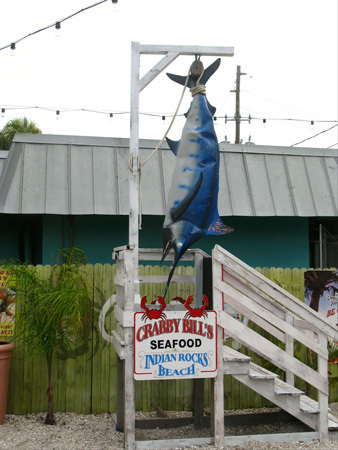 It's easy to Find Crabby Bill's Restaurant at 401 Gulf Blvd. 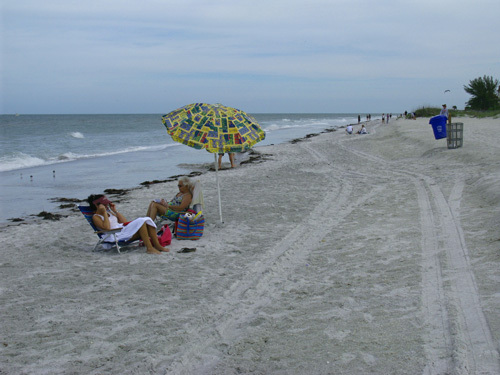 - Indian Rocks Beach, FL 33785 (Phone:727-210-2834). 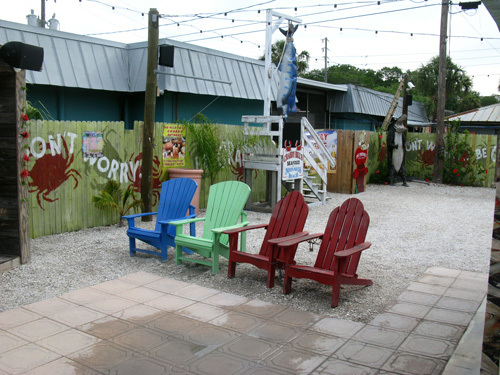 The Loading Dock is built on the north end of the restaurant. The back area is good-sized, and great if you bring several people along in a party. There were some trendy art deco chairs near the front for people who wanted to be real close to the live music that starts in the afternoon. During breakfast at Crabby Bill's Loading Dock, you can pose with a large plastic fish...and look heroic. Once again, we stuck with the Southwest omelet, toasted rye bread, home fries, more cantaloupe, and a small bowl of grits. (We had already polished off the stacked fruit bowl.) Breakfast for two cost us just over $11. You can't beat that price here in Paradise. Afterward, we took a walk on the beach. You can see it was a mild overcast and the Gulf was a bit choppy. Still...a cool breeze in Paradise trumps just about any place else in late April. Breakfast at Crabby Bill's Loading Dock is relaxing. It is a perfect way to start a perfect day on your cheap Florida beach vacation.